50 years ago today (25th November 1967) this beautiful pair got married, on a sultry afternoon in Brisbane (and I know they did because I was there) - a very happy excuse for a family celebration today at Josh & Jody's. 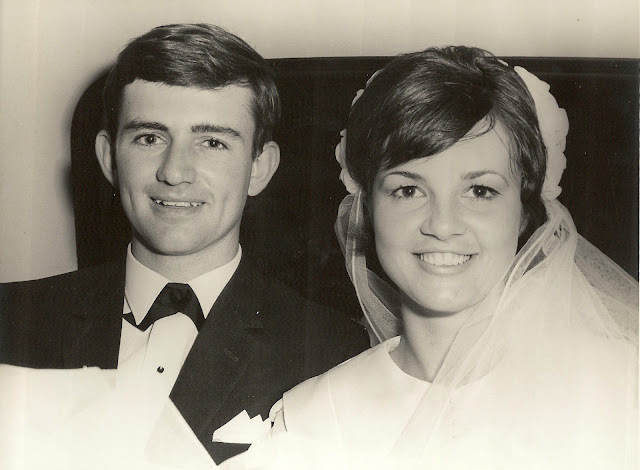 in 1967 they looked incredibly young to be married - but oh so beautiful! Maxie was a week off turning 21 and Rod was 21 and 4 months (that's how it was done in those days!). 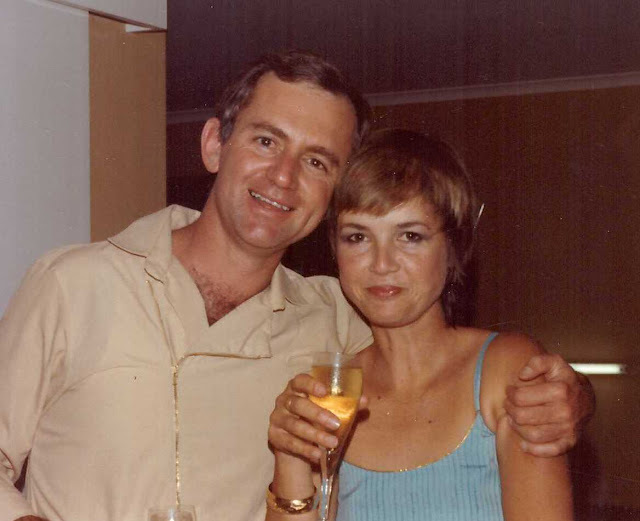 The pic below was taken in Canberra about 15 years later (New Year's Eve 1982-83). 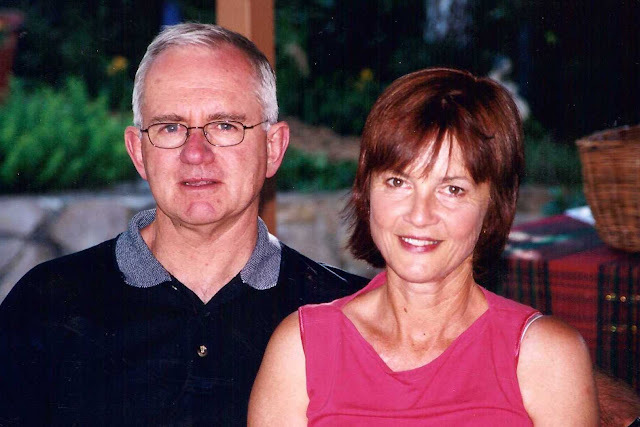 In the first decade of their marriage Rod and Maxie had moved to Canberra, built their beautiful architect designed house in Torrens and welcomed Claire (02-07-1975) and Davey (23-09-1977) into the world. They had a lot to celebrate! 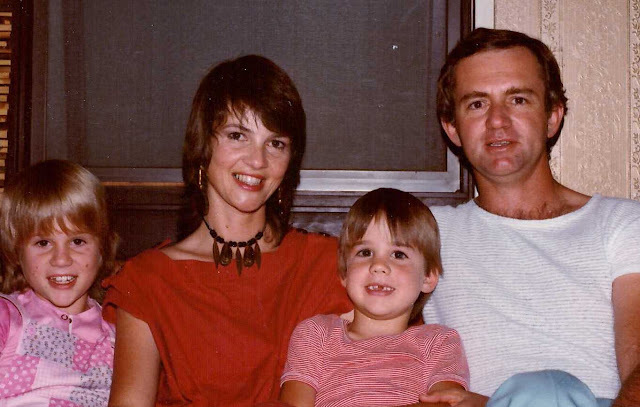 The pic below was taken a year later in January 1984. The pic below was taken on Christmas day 1988. Rod and Maxie had been married 21 years by now! 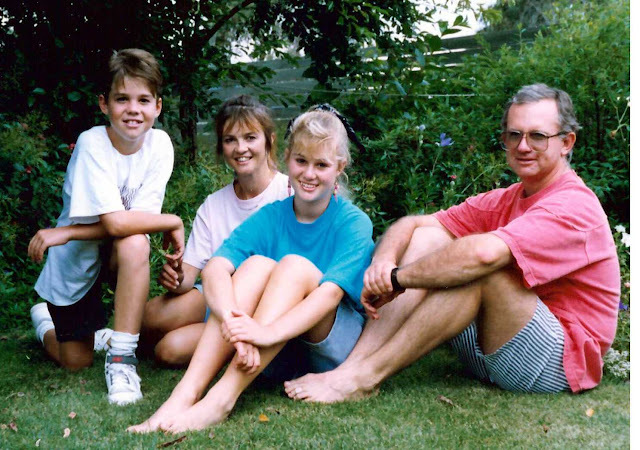 The pic below was taken in August 1995. 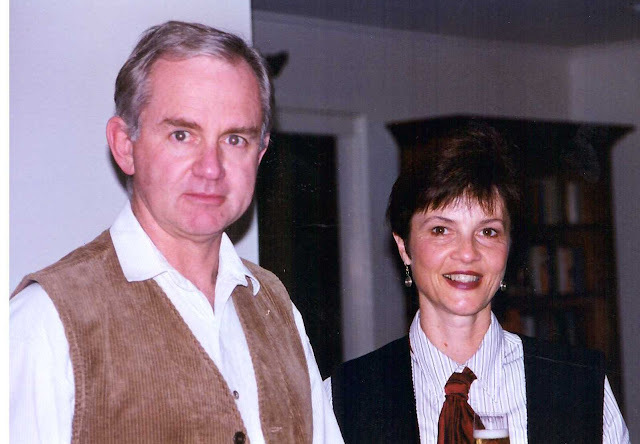 Maxie and Rod were parents of a 20 year old (Claire) and an almost 18 year old (Davey) by now and they were both approaching their 50th birthdays (and looking good!). Exciting times! I can't find a date for the pic below - but I think it would be in the early 2000s. It must have been before they sold their house at Torrens after the devastating Canberra bushfires of January 2003. Maxie and Rod became grandparents in 2004, by which time they'd moved into their beautiful new home in Jerra (close to Jeremy and Claire and baby Ollie). 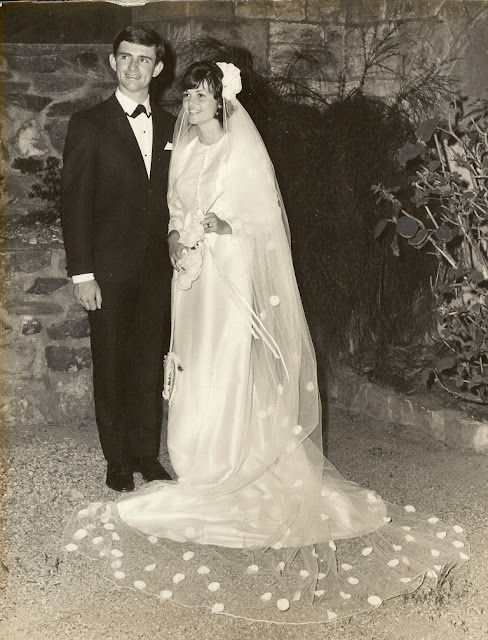 They celebrated their 35th wedding anniversary in 2002. The beautiful pic below was taken in April 2009 at Erin's wedding. They'd been married 42 years by now and had two beautiful grandsons (Ollie and Angus) and had seen Davey happily settled in London with the beautiful Cath. Have you noticed that Rod is nearly always on the left when a picture of he and Maxie is taken? In amongst all this celebration of a such a magical (and inspiring) partnership Abi's big news today was her newly missing bottom front tooth. Let's get the big news stories in perspective here!